Each year, our Relocate Awards judging panel, made up of independent experts, reflects the diversity of those working in the world of relocation and international assignments and the wide range of suppliers and professionals engaged in supporting relocation and mobility. This year's talented team of judges is no exception. All are distinguished figures in their fields. We are grateful to them for contributing their time and expertise to making the awards a success. Anita Blanchett worked for over 30 years in relocation, both on the supplier side and for major corporates in the UK and internationally. She joined BP to bring its global international assignment services back in house, and was global lead for domestic mobility and associate director of international assignments until her recent retirement. In 2016, Anita was awarded a special Relocate Lifetime Achievement Award. She now works in a volunteer role with Shelterbox, raising money for families adversely affected by natural disasters and political problems around the world. Elaine is group relocation manager at The Rank Group and former chair of the Relocation Users Group (RUG). With more than two decades of industry experience, she is well known in the corporate and global mobility world. She has contributed to ARP and EuRA development over the years, and was Relocate's Personality of the Year 2013/14. Andrew has worked in the property and corporate relocation industry for more than 30 years, with companies such as Cendant (Cartus), Pricoa Relocation and Brookfield Global Relocation Services. He spent five years as a relocation specialist for FTSE 100-registered company Unilever, working in conjunction with the human resources and mobility teams, with responsibility for the management and execution of company policies relating to the movement of employees across the country. Before establishing Pro Tenant, Andrew worked as operational director for Brookfield Global Relocation Services, where he was responsible for all aspects of home-finding and tenancy management support in the UK. Susan has around 30 years of experience in international HR, predominantly through in-house roles. She has worked extensively on both local national and expatriate issues, and is well versed in the design and implementation of policies, processes and administration of expatriates, together with the compensation and benefits aspects. She headed Grant Thornton's Talent Mobility Team when it won Relocate’s 2016 HR Team of the Year award for developing and leading a world-class global mobility programme. Claire manages relocations and secondments for the John Lewis Division. She has worked at John Lewis for 11 years, five of them in her current role. 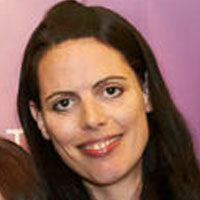 Prior to working in relocations, Claire worked in recruitment, focusing on senior management and graduate recruitment. Before joining John Lewis, she worked in both the retail and publishing industries, and spent two-and-a-half years working for Prince, the American singer-songwriter. Gordon is director of the Employee Mobility Unit at UK law firm Morton Fraser. He has been a lawyer and senior executive in the relocation industry for over 25 years, and now acts as legal adviser to relocation management companies and employers. He splits his time between Morton Fraser's offices in London and Edinburgh. He also serves as vice-chairman of the Global Forum of Worldwide ERC and is chairman of ESPC, a property marketing company. Sue is senior lecturer in HRM at the Universities of Westminster and West London, and professor emerita at London Metropolitan University. Her PhD in Human Resource Management relates to women's participation in international mobility in the oil and gas industry. She holds master's degrees from the Universities of Cambridge and Westminster, in geography and higher education respectively. Sue began her career in industrial relations research and publishing at Incomes Data Services, Industrial Relations Services and Personnel Executive magazine, before moving to head the Confederation of British Industry's Employee Relocation Council. She has also worked in a managerial and consulting role in International HRM at KPMG. Sue is a chartered fellow of the Chartered Institute of Personnel and Development and a senior fellow of the Higher Education Academy, and holds SEDA accreditation. She is author of five books on mobility and HRM, and has numerous articles published in both academic and practitioner journals. Hannah originally joined the relocation industry in 2001 as a relocation assistant at Karen Dean Relocations. Since then, she has worked in the global mobility teams at Pricoa, Citigroup, BP and Anglo American in the international assignments team, managing global policies, processes and relocation. She has recently joined Babcock International Group as senior international assignment adviser in London.